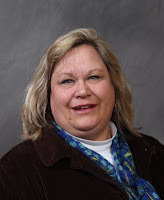 In mid-March Diane DeWitte joined the UM Extension Livestock team as an Educator specializing in swine, located at the Mankato Regional Extension office. DeWitte will work with current swine educator Sarah Schieck to provide programming for pork producers across Minnesota. DeWitte previously served nine years as the University of Minnesota Extension Ag educator in Le Sueur and Blue Earth Counties where she provided livestock & crops education and managed the Master Gardener programs. She is part of the Minnesota Pork Quality Assurance (PQA+ and TQA) training team and is a familiar face teaching PQA+ and TQA certifications to swine producers. A Wabash, Indiana native from a crop and livestock farm, DeWitte earned her B.S. in Animal Sciences and M.S. in Vocational Education from Purdue University. Her previous roles include management of a 1000-sow commercial swine herd in central Indiana and service with Purdue Extension in Vigo County, Indiana. DeWitte lives with her husband Brad in Le Sueur County and enjoys quilt making in winter months and long-distance motorcycle travel in the other three seasons.